Your Step by Step Guide to a Kitchen Renovation that works! Step by Step Guide to a Kitchen Renovation that works! Ask anyone who’s attempted to do home renovations, and they’ll tell you it’s up there with some of the most stressful experiences they’ve ever had. Although it can be a very busy and hectic time, a lot of this stress comes from a lack of planning and not having a clear budget or process in place. We’re here to show you some simple steps you can follow to make your kitchen renovation come to fruition with minimal fuss so that you find the experience as enjoyable as possible. Before you can get started with mood boards or looking at colours, you need a solid plan in place. Take a good look at your kitchen and think about what it is you want to update or modernise, and put these in order of most urgent to least. Ask yourself “what is it I like about my kitchen and what is it I dislike and why?”. It might even help to get in and cook a three course meal to see where your current kitchen falls short. Some may want to tear the whole thing down and start afresh and others will simply want a stylish cosmetic update. Next, you’ll need a budget to work from, so at this time you need to look at your savings or speak to a lender about getting this part of the plan in place. With a budget in mind, you’ll know what you can afford and how you can achieve your goals. Now that you know how much of your kitchen you’ll be renovating and how much money you have to work with, the fun bit can begin. Start by looking online at renovation pictures of the types of kitchens you like or start a board on Pinterest with your favourite ideas. This will show you pretty quickly what your style is. You then can view websites, and more importantly visit showrooms and start pricing materials and quotes to see if it fits within your budget and adjust accordingly. Not all kitchen and laundry renovations should be attempted as a DIY job. Otherwise, you’ll end up costing yourself a lot more time and money. This is where you should research and phone professionals to quote, visit showrooms and speak with kitchen design experts, and then you will know how much money you’ll be spending in the process. It is important to do your research to ensure the professional is experienced in the kitchen industry and will back their workmanship with a guarantee. It is very important the design will suit your needs and that of your future growing family for years to come. So make sure you work with a kitchen designer to be sure you’ve ticked all the boxes. A kitchen design professional will be able to assist you every step of the way, especially if they are experienced in the industry. If you’re doing a restructure of your kitchen space, there’s generally an order to how jobs should be completed. Things like new walls and ceilings should always go first, before the kitchen installation. Then you can finish the finer details like fresh paint and lighting to last. 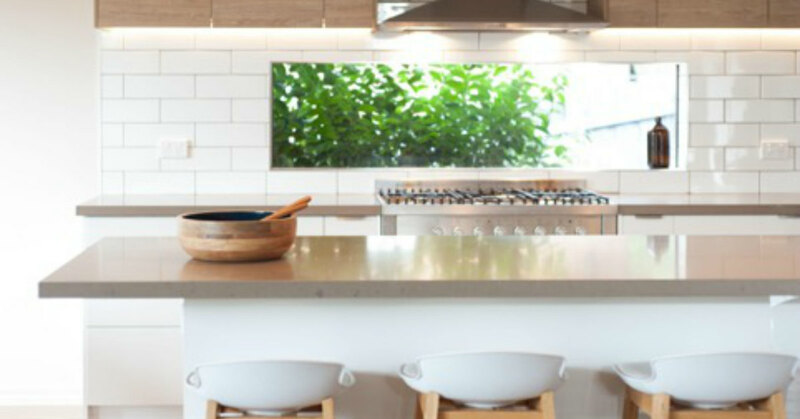 If you’re after inspiration or ideas on how to achieve your best on time kitchen renovation, the team at Zesta Kitchens are here to help. Contact us today on 1300 100 555. If you already know what finish you like and feel that you’re ready for a new kitchen, then book a kitchen consultation and let us help you create a kitchen for your space.